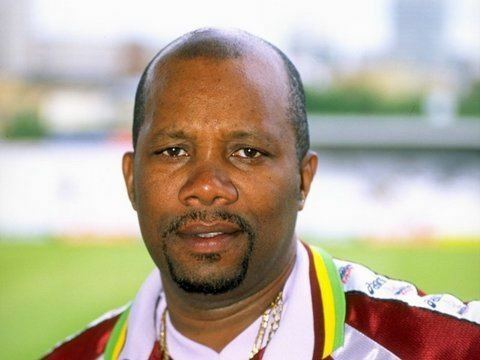 Malcolm Denzil Marshall (18 April 1958 – 4 November 1999) was a West Indian cricketer. Primarily a fast bowler, Marshall is regarded as one of the finest and fastest pacemen ever to have played Test cricket. His Test bowling average of 20.94 is the best of anyone who has taken 200 or more wickets. 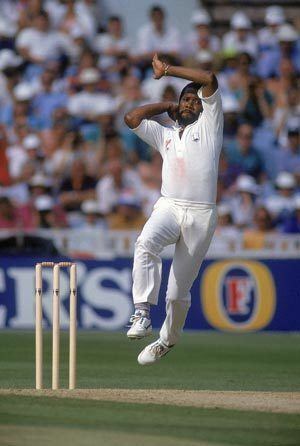 He achieved his bowling success despite being, by the standards of other fast bowlers, a short man – he stood at 5 feet 11 inches (1.80 m), while most of the great quicks have been well above 6 feet (1.8 m) and many great West Indian fast bowlers, such as Joel Garner, Curtly Ambrose and Courtney Walsh, were 6 feet 6 inches (1.98 m) or above. He generated fearsome pace from his bowling action, with a dangerous bouncer. Marshall was also a very dangerous lower middle-order batsman with ten Test fifties and seven first-class centuries. Marshall was born in Bridgetown, Barbados. His father, Denzil DeCoster Edghill was also an outstanding cricketer that played for Kingspark cricket club in St. Philip the son of Claudine (née Edghill) and Guirdwood Ifill, was a policeman, but died in a traffic accident when Marshall was one year old. His mother was Eleanor (née Welch). Malcolm had three half-brothers and three half-sisters. He grew up in the parish of Saint Michael, Barbados and was educated at St Giles Boys' School from 1963 to 1969 and then at Parkinson Comprehensive from 1969 to 1973. He was partly taught cricket by his grandfather, who helped to bring him up after his father's death. He played cricket for the Banks Brewery team from 1976. His first representative match was a 40-over affair for West Indies Young Cricketers against their English equivalents at Pointe-à-Pierre, Trinidad and Tobago in August 1976. He made nought and his eight overs disappeared for 53 runs. 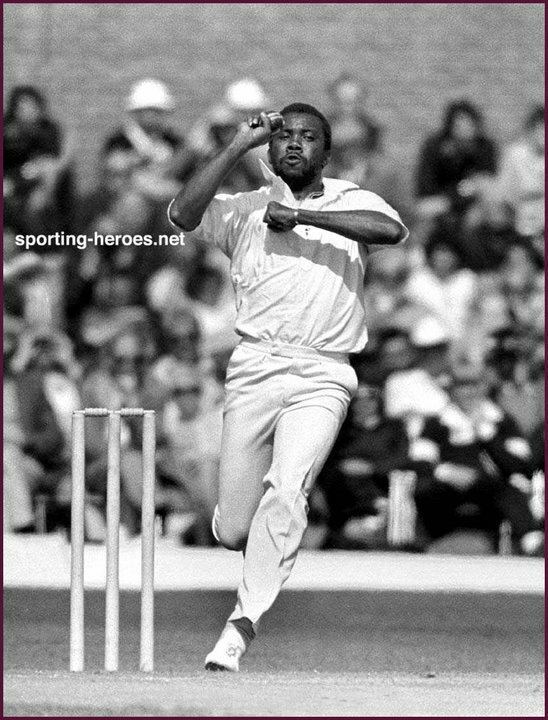 Marshall's initial senior appearance was a Geddes Grant/Harrison Line Trophy (List A) match for Barbados on 13 February 1978; again he made a duck and did not take a wicket. Four days later, he made his first-class debut against Jamaica, and whilst he failed to score runs, he claimed 6–77 in the Jamaican first innings. On the back of this single first-class appearance he was selected to tour India in 1978/79, many first-choice West Indian stars being unavailable having committed themselves to playing World Series Cricket. Marshall heard of his selection on the radio while working in the storeroom at Banks Brewery and later claimed he did not know where India was. 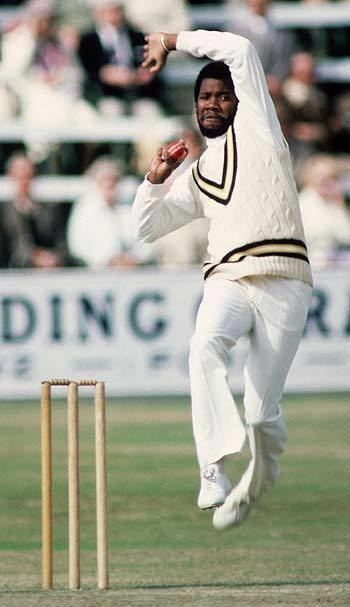 Marshall made his Test début in the Second Test at Bangalore on 15 December 1978. He immediately developed a career-long antipathy to Dilip Vengsarkar due to his aggressive appealing. Despite doing little of note in the three Tests he played on that tour, he did take 37 wickets in all first-class games, and Hampshire saw enough in him to take him on as their overseas player for 1979, remaining with the county until 1993. He was in West Indies' World Cup squad, but did not play a match in the tournament. Hampshire were not doing well at the time, but nevertheless he took 47 first-class wickets, as well as picking up 5–13 against Glamorgan in the John Player League. Marshall came to prominence in 1980, when in the third Test at Old Trafford he accounted for Mike Gatting, Brian Rose and Peter Willey in short order to spark an England collapse, although the match was eventually drawn despite Marshall taking 7–24. After 1980/81 he was out of the Test side for two years, but an excellent 1982 season when he took 134 wickets at under 16 apiece, including a career-best 8–71 against Worcestershire, saw him recalled and thereafter he remained a fixture until the end of his international career. In seven successive Test series from 1982/83 to 1985/86 he took 21 or more wickets each time, in the last five of them averaging under 20. His most productive series in this period was the 1983/84 rubber against India, when he claimed 33 wickets as well as averaging 34 with the bat and making his highest Test score of 92 at Kanpur. A few months later he took five in an innings twice at home against Australia. At the peak of his career, he turned down an offer of US$1 million to join a rebel West Indies team on a tour to South Africa, still suffering international sporting isolation due to apartheid. Marshall relinquished his county duties during the 1984 tour of England. In a Test series that came to be known as the "Blackwash", the West Indians completed a 5-0 triumph, to date the only visiting team in England to have achieved such a feat. 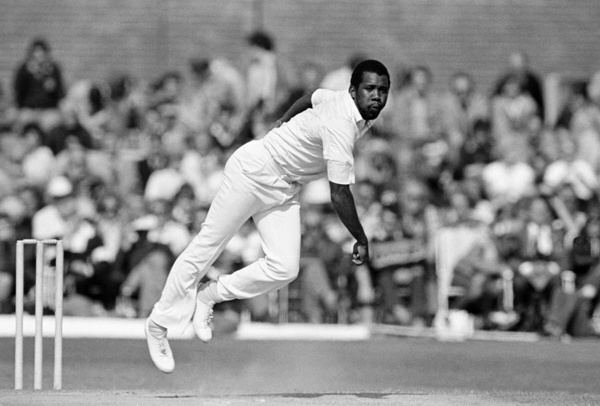 Marshall played a key role, taking the second-most wickets in the series with 24, behind only Joel Garner who took 29, and establishing his reputation as one of the finest bowlers in the world. In the series, he took five or more wickets in an innings three times, had the best bowling average - conceding only 18.20 runs per wicket, and the best strike rate - averaging one wicket every 42 deliveries. In the first test at Edgbaston, which the West Indies won by an innings and 180 runs, he ended the Test career of local Warwickshire opener Andy Lloyd after half an hour; he had already faced a few short deliveries from both Marshall and Garner but was then caught unawares by a delivery from Marshall that rose sharply and struck him flush on the temple behind his right eye. Lloyd soon had to retire hurt when he realized he was suffering blurred vision in his right eye and was hospitalized for several days. In the third Test at Headingley, Marshall ran through England's batting order in the second innings to finish with 7/53, despite having broken his thumb whilst fielding in the first innings. He also came out to bat at number 11 in West Indies' first innings despite his injury, allowing his team to gain a further psychological advantage as Larry Gomes completed an unbeaten century (Marshall batted one-handed that day, with one arm in plaster). In 1984/85 Marshall had another successful series at home against New Zealand, although there were calls for his bouncers to be ruled as intimidatory beyond what was acceptable, and that Marshall should have been admonished by the umpires. A rising delivery broke the nose of Mike Gatting, England's captain, in a one-day match in February 1986; Marshall later found bone fragments embedded in the leather of the ball. As well as the bouncer, however, Marshall succeeded in swinging the ball in both directions. He also used an in-swinging yorker as well as developing an effective leg-cutter, and with the exception of the 1986/87 New Zealanders, against whom he could only manage nine wickets at 32.11, no side seemed to have an answer to him. 1988 saw his career-best Test performance of 7–22 at Old Trafford, and he ended the series with 35 wickets in five Tests, at 12.65. 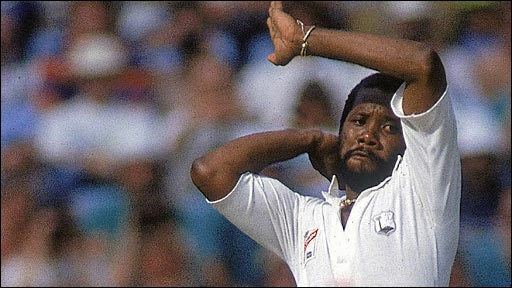 Marshall was coming towards the end of his international career, moreover, and though he took 11 wickets in the match against India at Port of Spain the following winter, he played his last Test at The Oval in 1991. His final Test wicket – his 376th – was that of Graham Gooch. These efforts led him to retain the number 1 ranking in ICC Test Bowling Rankings for the year 1990 (which he attained in 1989). Marshall's final appearances for West Indies came in One Day International cricket – the 1992 World Cup. However, in his five matches in the tournament, he took just two wickets, both in the penultimate game against South Africa at Christchurch. This was the only time Marshall played for West Indies against South Africa in his career, though he played provincial cricket for Natal in both 1992/93 and 1993/94. Whilst playing at Natal, his experience was invaluable, and his guidance was an influential spark in the early career of Shaun Pollock. Today, Shaun Pollock attributes much of his success to his mentor, Marshall. He was in the Hampshire team that won the 1992 Benson & Hedges Cup. He played for Hampshire again in 1993, taking 28 wickets at a shade over 30 runs apiece, but that was to be the end of his time in county cricket, and in 1994 his only game in England was against the South Africans for the Scarborough President's XI during the Festival. He played five matches for Scotland in the 1995 Benson and Hedges Cup without much success, and his last senior games were for Natal in 1995/96. In his very last senior appearance, against Western Province in a limited-overs game at Cape Town, the first of his two victims was his former international team-mate Desmond Haynes. He took over 1,000 wickets for Hampshire, and received more than £60,000 (tax free) in his benefit year in 1987. In 1996, Marshall became coach both of Hampshire and the West Indies, although the latter's steadily declining standards during this period brought a considerable amount of criticism his way. In 1999, during the World Cup it was revealed that Marshall had colon cancer. He immediately left his coaching job to begin treatment, but this was ultimately unsuccessful. He married his long-term partner, Connie Roberta Earle, in Romsey on 25 September 1999, and returned to his home town, where he died on 4 November aged forty-one, weighing little more than 25 kg. "The worldwide outpouring of grief," wrote journalist-friend Pat Symes, "was testimony to the genuine love and admiration he engendered." At the funeral service at the Garfield Sobers Gymnasium in Wildey, Barbados, former West Indian fast bowler Rev. Wes Hall whispered the last rites in the belief that Marshall, having found God again in the last few weeks of his life, was off to Heaven. His coffin was carried at the service by five West Indian captains. He was buried at St Bartholomew's Church, Barbados. The Malcolm Marshall Memorial Trophy was inaugurated in his memory, to be awarded to the leading wicket-taker in each England v West Indies Test series. Another trophy with the same name was set up to be the prize in an annual game between Barbados and Trinidad and Tobago. Malcolm Marshall Memorial cricket games are also played in Handsworth Park, Birmingham. On the Sunday of the UK's August bank holiday, invitation XIs play against an individual's "select eleven". The entrance road to Hampshire's ground the Rose Bowl is called Marshall Drive in memory of Marshall and another West Indian Hampshire great Roy Marshall.